This November, Fall in love with your smile. 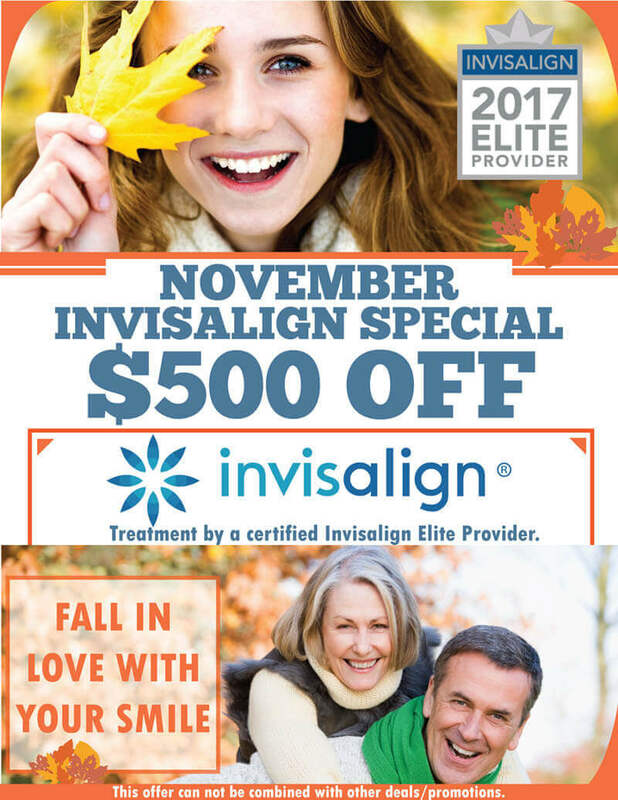 Invisalign Patients who begin treatment during the month of November will receive Invisalign at a discounted rate. Call today for a consultation with our Invisalign Elite Provider and on-site Orthodontist, Dr. Frank Dequattro, to take the first steps towards aligning your smile. Transform your smile, transform your life. Schedule your appointments today by calling 401-364-6300 or filling out the registration form below.